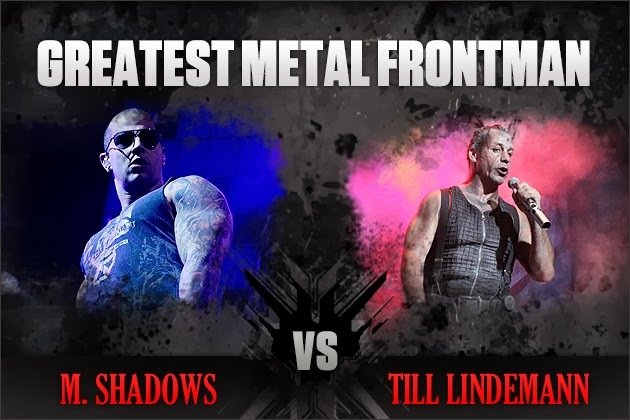 This is sure to be one of the most unique matchups in Round 2 of our Greatest Metal Frontman tournament, with M. Shadows taking on Till Lindemann. In what was a back and forth battle, M. Shadows pulled out a victory over the master of horror, Rob Zombie. The Avenged Sevenfold frontman escaped with a narrow margin and almost 54 percent of the votes. His opponent here also defeated a shock rocker, so this will be a fun matchup to keep an eye on. Rammstein‘s Till Lindemann pulled out a ‘shocker’ (see what we did there?) with a win over famed frontman Alice Cooper. Lindemann’s theatrics and athletic ability are jaw-dropping feats to witness live. Will they be enough for victory in Round 2? M. Shadows or Till Lindemann? Cast your vote for the Greatest Metal Frontman in the poll below! Voting for this round closes on Sunday, Nov. 10 at 11:59PM ET. Fans can vote once per hour, so keep coming back to make sure that your favorite metal musician wins! Stop writing this in comments, start voting! Time is running! 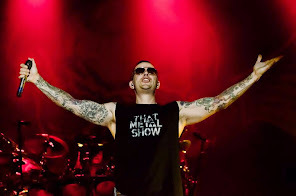 M.Shadows ic counting on us! Let's show him our support!!! M. Shadows foe the win!!!!!!!!! Ah!!! Duh!!! M. Shadows!!! FOR SURE!!! I'm just wondering how many people except of writing "M. Shadows" actually clicked next to his name to vote...?? Last day people!! We really don't need much, if we get more than 2% we can beat Till!! So make Your choice (good one-ig You know what I mean) and let;'s rock 'n 'roll !!!!!!!!!!!!!! Wrrrrr!!!!!!!!!!! Comments are not helping.Nobody will count them, votes- that matters!!!!!!!!!!!!! Time is running!!!!!!!!!!! If everyone who wrote "M.Shadows in comments" would clicked next to his name, we would win already!!!!!!!!!! Must vote, not write comment's. Clik vote!!!! M. Shadows is losing. Deathbats! Don't spend your time commenting go vote for Matt! !